Brass Dog Collar 19th century. 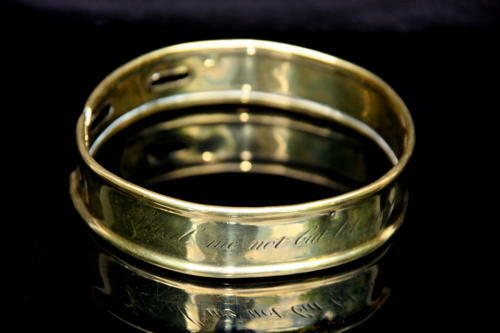 Charmingly engraved English early 19th century Brass Dog collar. "STEAL ME NOT BUT LET ME JOG ; FOR I AM MRS GWYNNS DOG"
Fine sentiments indeed on this lovely collar for man and womans best friend.